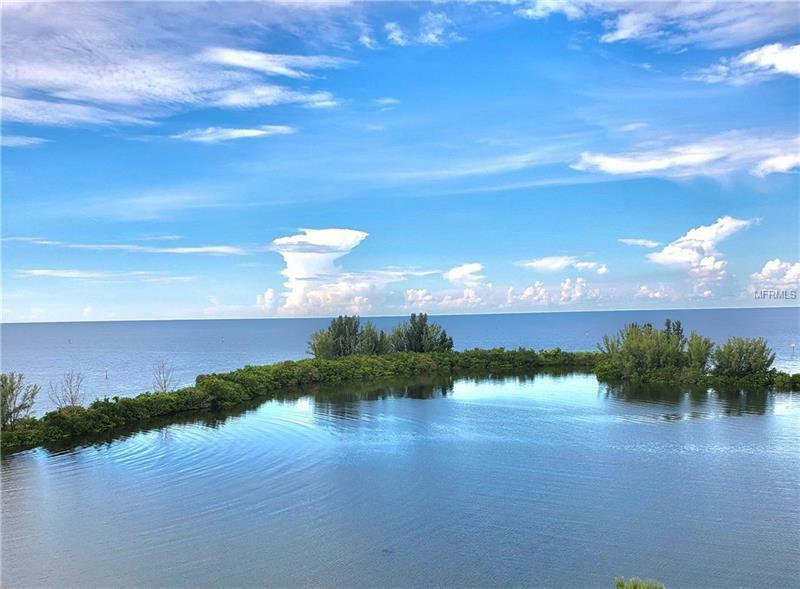 Say hello to STUNNING Unobstructed Gulf of Mexico Views! 6th floor Balcony offers Spectacular Scenery! Must See Waterfront Condo! Welcome to 5915 Sea Ranch Drive at the Beautiful Gulf Island Beach and Tennis Club. Your own piece of Paradise! Spacious Living Room-Dining Room Combo with Slider to Open Balcony, Kitchen with Breakfast Bar and nice countertop and cabinet space, Large Bedroom with Spectacular Gulf Views, second slider to balcony, and Full Bath. Step out on your 6th floor Balcony and take in the Scenery! Amazing Open views of the Gulf – the Perfect Spot to enjoy your morning coffee or relax with friends and family. Sit back and relax while you watch the Dolphins and Manatees pass by. Gulf Island Beach and Tennis Club has so much to offer. 24/7 Security and Guard Gate, Newly renovated Clubhouse with a Fitness Center, Game Room, and Banquet Room with a Bar Area and Dance Floor. Relax on the beach of the Private Lagoon or use the Heated Pool. Enjoy the outdoors with multiple Tennis Courts, out on the Nature Walk, Kayaking, Fishing and even Boating with boat slips occasionally available for purchase. Gulf Island Beach and Tennis Club is located near many beaches, golf courses, parks, shopping and dining. Also an easy commute to the Tampa, St. Pete, Clearwater areas! Enjoy the Maintenance-Free Lifestyle in Paradise! Flood Insurance and Water Paid with Association Dues! Enjoy this sweet vacation spot and when you aren't there, the association will help you rent it out! Come Check It Out! Pet Restrictions: Up to 2 pets allowed. Combined weight must be under 20lbs.